No, there is not a magic formula that can make it happen without some hard work. Eating right, exercise, drinking plenty of water and getting enough sleep are still absolute musts. But, there is vitamin D3. You’ve probably heard vitamin D referred to as the sunlight hormone. It can help to improve your mood, improve nutrient absorption and strengthen your teeth and bones. There are distinct signs you’ll notice if you’re deficient. Your body actually doesn’t register that your stomach is “full” until 20 minutes after you stop eating. Ideally, you don’t ever have to feel full, since that is not a pleasant feeling. If your stomach feels full, you overate, and you might feel sick, bloated, tired, headachey, etc. 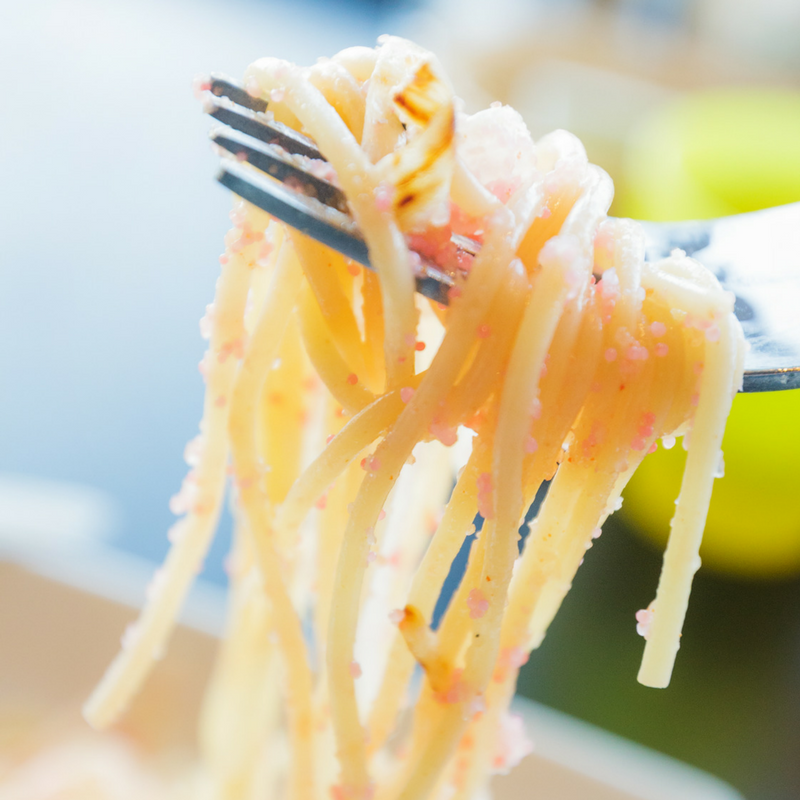 Leptin is referred to as the satiety hormone, because it signals your brain that you have had enough food, causing you to walk away from the table. Vitamin D3 is essential for leptin production: if you are D3 deficient, your body is going to struggle to produce enough leptin, which results in inefficient signalling, leading you to keep eating when you don’t need to. This, as you can imagine, quickly leads to weight gain. SO, getting enough D3 means producing enough leptin, which leads to keeping your serving amounts in check, and your weight within your control. Vitamin D is fat soluble. This means that when you consume it, vitamin D can get contained in your fat cells. Unless you are burning that fat, the vitamin D is stuck there, unusable. We already discussed how low vitamin D levels can lead to low levels of leptin, which can lead to overeating and weight gain. So, if what you need to produce more leptin, is more vitamin D, but you keep gaining weight and increasing the fat cells that trap the vitamin D… how do you break the cycle? This is how many people get to that place where they look at themselves in the mirror and can’t figure out how they got there. How did they gain the weight? Often, it’s this kind of chemical/hormone imbalance. It takes a lot of hard work to break the cycle, burn the fat, and restore the balance in your body. Specifically, let’s chat about your parathyroid and the hormones it releases. When your parathyroid glands produce parathyroid hormones or calcitriol, your body starts storing fat at an increased rate. This leads to weight gain, and it can happen quite quickly. To keep the parathyroid and calcitriol hormone levels in check, you need to be sure your body is getting enough vitamin D3. When there is a healthy balance, your body will slowly store and metabolize fat. This prevents weight gain. 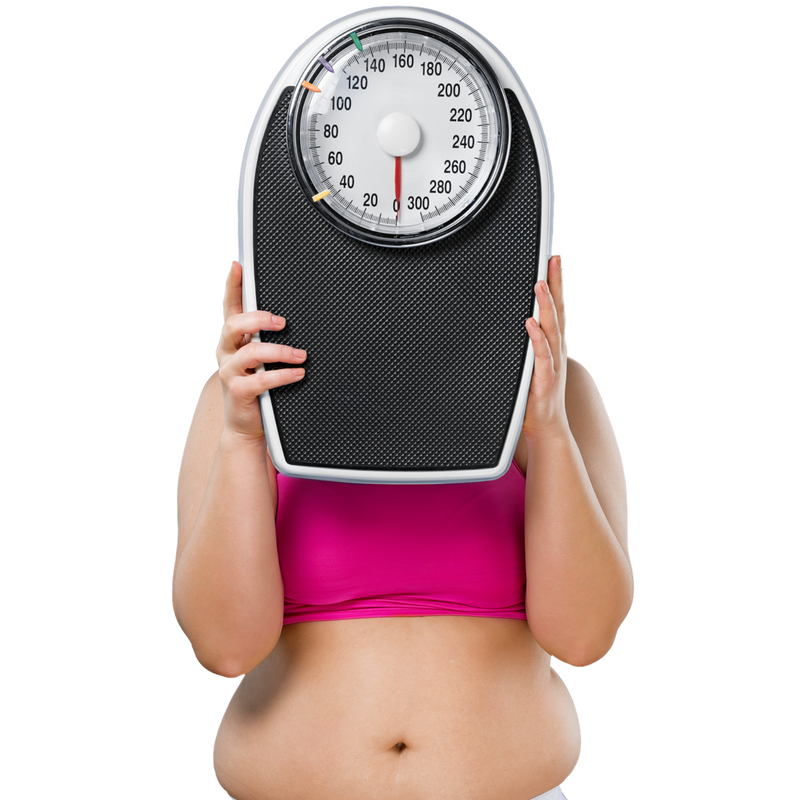 If you’re already overweight, restoring the balance can help you to burn accumulated fat and lose weight. One study took 218 women and gave them a strict eating and exercise regimen to follow for one year. Half of the women in the study were also given vitamin D, while the other half were given a placebo. At the end of the year, the women who were taking the vitamin D lost, on average, 7 lbs more than the women taking the placebo. Another study showed that people using vitamin D3 had a better waist to hip ratio than those who don’t. This means that D3 fat loss could be site specific, and could specifically help with burning belly fat. More research is needed to map out the hows and the whys of the vitamin D/weight loss connection, but this is a promising start. Fun fact: vitamin D3 can also help you build muscle and improve your work-out performance! Read more about that here. How can you get vitamin D3? Yes, you can get it from sunlight. They say that 10-15 minutes is enough exposure to get decent levels of vitamin D, but it’s also enough to get a sunburn. Be careful! If you want an easier way to ensure you get enough vitamin D3, I suggest a supplement. Not just any supplement though. 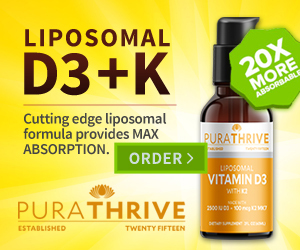 You need a quality source of vitamin D3, using top of the line, natural ingredients. You also need the right combination. 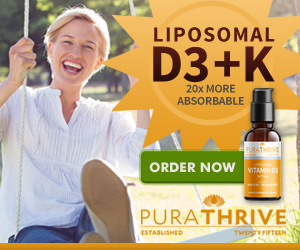 Without vitamin K2 and MK7, your body can’t properly absorb the vitamin D you’re consuming. So, don’t waste your money on supplements that don’t have the right formulation. You’d be flushing your money down the toilet (almost literally) and preventing your body from getting what it needs. 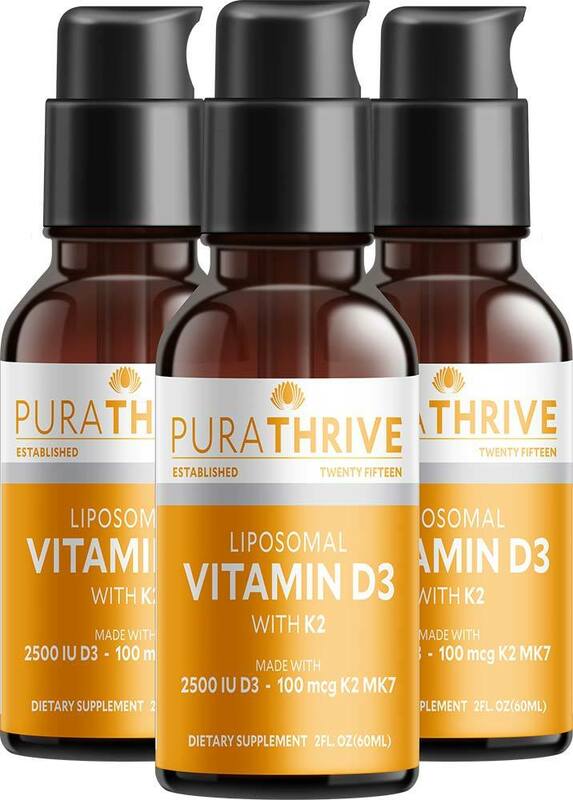 Trust PuraTHRIVE to deliver you the right dosage in the most bioavailable form.